Google gave no details of the licence renewal. But last month, in a conciliatory move towards Beijing, Google said it would no longer automatically redirect users. The battle between Google and the Chinese government appears to have ended in a score-draw. Google can truthfully say that it has stopped censoring search results in China, fulfilling the promise it made at the end of last year. Its Chinese search business is effectively moribund in the country but it can continue to operate in other areas like music, so that Chinese citizens remain aware of its brand. The Chinese government has made sure that its citizens cannot receive unfiltered search results because searches have to pass back from Hong Kong through the firewall where sensitive material can be removed. A source at Google said: "We've had a lot of messages from China saying don't let Google go dark -we've managed to do that while staying true to our principles. " Instead, Chinese users would be sent to a "landing page", which would send them to the Hong Kong site. "We are very pleased that the government has renewed our ICP (internet content provider) licence and we look forward to continuing to provide web search and local products to our users in China," Google's lawyer David Drummond said in an e-mailed statement. Google's share price rose 2.8% in Friday trading following the announcement. On Thursday, Google boss Eric Schmidt said that he expected the Chinese government to renew the licence. Google has had a long history of run-ins with the Chinese authorities, but without a licence granted by Beijing, it cannot operate in China. "Our operations in China are completely at the discretion of the Chinese government," Mr Schmidt has said. In January, Google said it might pull out of China following what it called a "sophisticated" cyber attack originating from the country. Following the threat to withdraw, some passers-by laid flowers outside Google's offices to thank the company for standing up for its principles. The US government even issued a statement saying it was "disappointed" that Google and China had not been able to resolve their differences. The licence renewal is key to Google. Losing business in China, which already has more internet users than any other country despite relatively low penetration, could harm the company's future growth prospects. 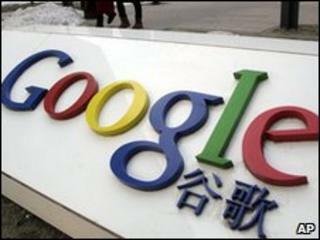 Analysts welcomed the renewal, but warned that fundamental differences between Google and China remained. "It is good news for the Chinese consumer and good news for the Chinese internet industry that Google is still available in the country in some shape or form," said Ted Dean at Beijing-based business advisory firm BDA. "But many of the issues around why Google shut down its Chinese search page in the first place are still there." Elinor Leung, at investment firm CLSA in Hong Kong, went even further, arguing that "this doesn't really change anything about Google's position in China. The redirection to its Hong Kong site is ongoing so it is the same problem as before".